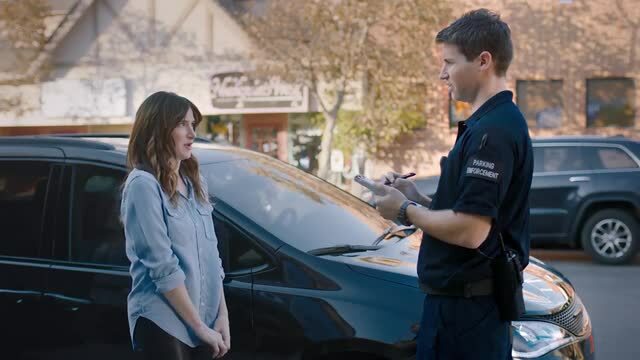 Jordan Brady of Superlounge directed Kathryn Hahn (Transparent, Bad Moms) in this comedy campaign out of agency Doner for Chrysler’s new Pacifica S, a minivan with "attitude." In this spot titled "Parking Ticket," Hahn deploys her attitude as she tries to “finesse” her way out of a parking fine, inventing increasingly outrageous excuses on the fly like she had just lost their beloved family dog, a rare “pomerdoodle," or that she had just escaped an attack by a herd of mad killer bees. Brady shot five spots with Hahn over two days, capturing the ideal comedic tone and timing. Client Chrysler/Pacifica S Agency Doner Production Superlounge Jordan Brady, director; Michael Svitak, DP. Editorial Hudson Edit Rich Smith, Zach Whitley, editors. Color The Mill Chicago Mikey Pehanich, Luke Morrison, colorists.